322. 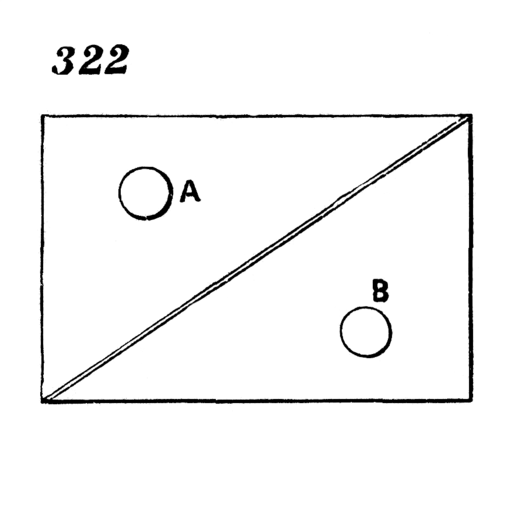 A very convenient construction of parallel ruler for drawing, made by cutting a quadrangle through the diagonal, forming two right-angled triangles, A and B. It is used by sliding the hypotenuse of one triangle upon that of the other. Brown originally spelled it “hypothenuse.” We’re not sure whether Brown’s spelling is an archaic form or merely a typographical error.